We are known for them. 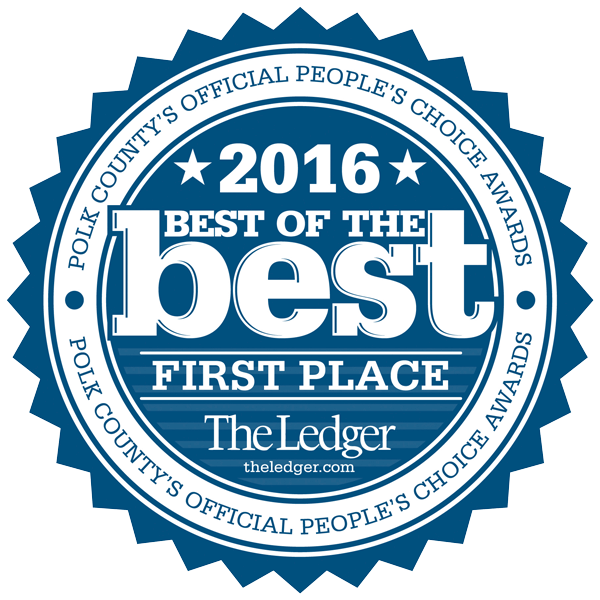 All American Furniture & Mattress was recently awarded the first place title for furniture in Polk County’s 2016 Best of the Best awards. We also took home an honorary second place award in the mattress store category. Prior to 2005, we sold exclusively to communities, other furniture stores and private developers, but we are now fully open and selling to the public. Discount Furniture & Mattress @ All American Furniture & Mattress Inc is a family owned and operated Wholesale discount furniture & mattress warehouse that sells wholesale directly to the public. Our 25,000 sq. foot building is located in downtown Lakeland Florida between Tampa and Orlando. All American Furniture & Mattress has developed a well-earned reputation for offering a wide variety of quality furnishings, all at affordable prices. Discount furniture with American Freight trucks delivering furniture daily. Ashley Furniture, Serta, Kingsdown, Benchcraft, Coaster, Discovery World, are a few name brands we carry of bedroom, futon, bunk bed, day bed, captains’ bed, sofa & love, sectional, kid’s furniture, occasional tables, dining room suit, platform beds, dressers, chest, mattresses, gel foam and accent pieces to accessories and more, you’ll always find the selection and service you demand at a price you deserve. Our discount furniture & mattress store is located in Lakeland FL and we sell living room, dining & bedroom furniture for cheaper prices than Chain Stores, visit our store in Lakeland & SAVE MONEY today. We are family owned and operated but we have all of the benefits and financing as the big chain stores. Free Layaway, No Credit Needed Financing, Synchrony Financing, 90 Days Same as cash. Click on our financing link or visit our store. Our philosophy of delivering the latest styles affordably underlies everything we do. We buy first quality furniture direct from American furniture manufactures. Our American freight trucks deliver daily and discount furniture is bought at large quantities for significant discounts and then the savings are passed on to our customers. We offer discount furniture that is all first quality and warrantied! We also offer same day delivery, furniture & mattresses delivered daily. We are a Ashley Furniture discount store. Serving Lakeland, Bartow, Auburndale, Winter Haven, Mulberry, Plant City, Brandon, Seffner, Tampa, Dundee, Zephyrhills, Dade City, Four Corners, Haines City, Lake Wales, Poinciana, Kissimmee, Clermont, Polk City, Highlands City & surrounding areas. Guaranteed lowest prices on Ashley Millennium, & Benchcraft. Quality furniture and mattress manufacturers and distributors we carry are Sealy, Kingsdown, Spring Air, Serta, Simmons, Signature Design by Ashley, Benchcraft, Leggett & Platt, Donco, Discovery World, Acme, Benchcraft, icomfort, TempurPedic, iCare, Higdon, Harden, Standard and Coaster.